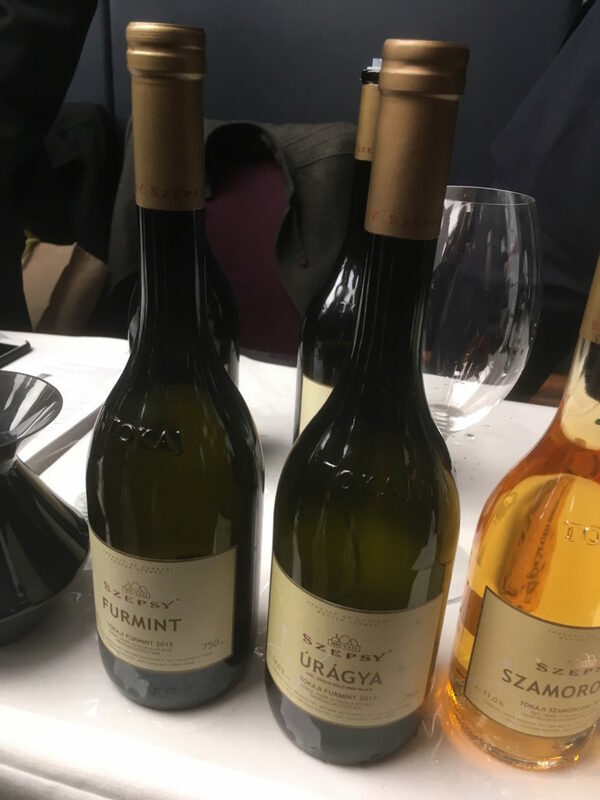 Furmint, the grape most widely known for producing the prized sweet wine Tokaji Aszu, has got a healthy and prosperous future ahead of it as a dry wine if the wines that were on show at Wines of Hungary’s Furmint February tasting were anything to go by. In the same space as Chablis, Albarino, Grüner and some dry Rieslings, Furmint has an ability to transmit terroir well, leading to racy acidity and minerality in some of the wines. 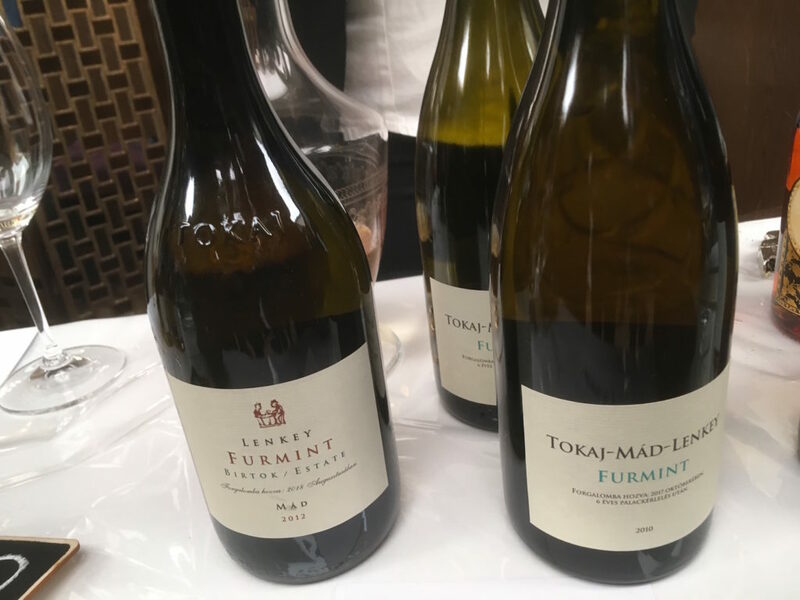 Furmint has been increasing in popularity in London over the past two decades, is currently on trend, but is currently inconsistent in style. A bad thing? 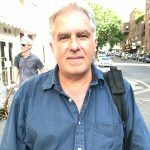 Not a word, argues Justin Keay who raves about one of his favourite tastings in a long while. It’s been said that the most memorable love affairs are the short but intense ones, allowing no room for considered reflection but enabling the participants to look back and say – for that short time everything was, well, perfect. 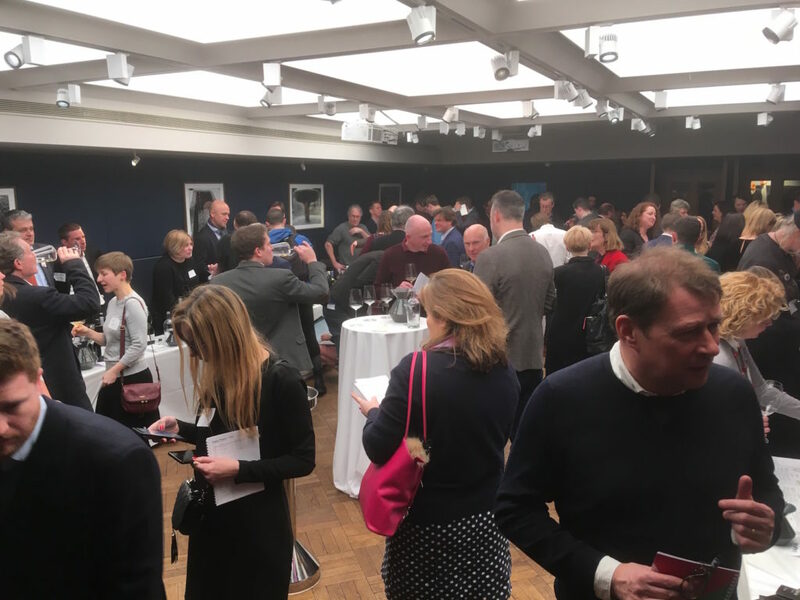 Many of those in the UK wine trade who crammed into the St James’ Room at 67 Pall Mall for two brief but intense hours on a cold January night last week might have had similar thoughts. 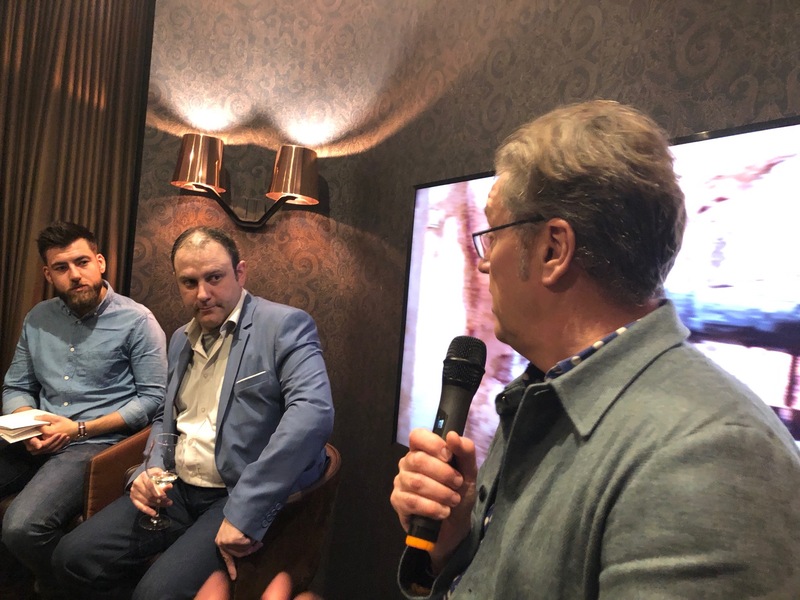 There for the launch of Wines of Hungary’s Furmint February, an initiative to boost awareness of Hungary’s most famous grape variety, most seemed taken aback at the quality and diversity of the wines. Furmint is most famously used to make the prized sweet wine Tokaji Aszu, but over the past 15 years is increasingly being used to produce delicious, focused dry wines, mainly in the grape’s native Tokaji region – around the village of Mád – but also in Eger by Kovacs Nimrod and in Somlo (north-west Hungary, home to the Juhfark grape) by the Kolonics Winery. 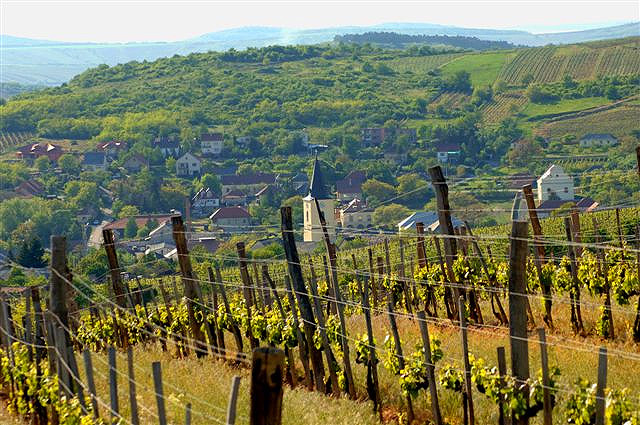 Furmint February has been a domestic thing for years but leading lights in the UK trade – led by Wines of Hungary UK – felt it was time to take a closer look here, such have been the advances made by local producers. And what a look. This tasting was originally scheduled to feature five wineries, mainly those already imported. In the event, 25 wineries turned up to show around 90 wines, most of them small production, some tiny (just 300 bottles of Gizella Winery’s delicious, nuanced Bomboly 2017 were ever produced). “I’ve seldom tasted such an impressive range of wines made from one variety – particularly a variety so underrated in this country. 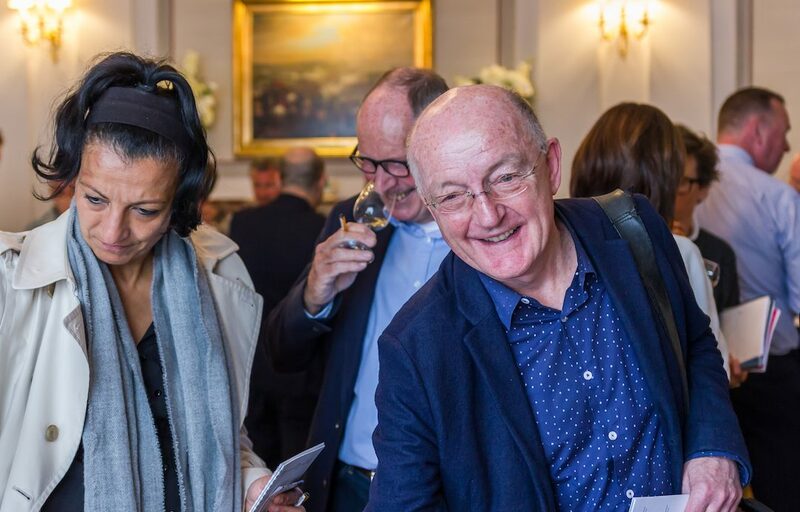 It really makes you wonder, especially when people pile into a variety like Albarino, which is demonstrably inferior,” said one of the UK’s leading wine writers leafing through his tasting booklet in the coat queue. So how to define Furmint? Fans compare the wines to Chablis, noting the fine sharp acidity and precision attained by some winemakers, yet the comparison isn’t quite right. Tokaji is much warmer than Chablis and the wines typically are rounder and more generous. Caroline Gilbey MW says the variety – which also grows over the border in Slovakia’s Tokaj region – calls to mind both Riesling and Chardonnay, and shares with these great age-ability. “Furmint has a great ability to transmit terroir – it really reflects a sense of place,” she says. Producers – particularly in Tokaji, with its volcanic soil which allows expression and minerality– agree the grape has come a long way since the start of this century, when it has won growing recognition as a dry wine grape. I feel it really could become the new Grüner, which it in many ways also resembles. “It could become a real trend grape but I fear the region is too small for this. What we need now is a consistent style to emerge across the region,” says Charlie Mount, general manager at Royal Tokaji, one of the region’s best known producers. But actually it was the lack of consistency, the sheer diversity, which made this tasting such a joy, with unexpected finds, like Szent Tamás’ delicious entry level wine Mád from Mád, a blend of Furmint, Harslevelu and Muskotaly, adding to the sense of discovery. Tasting mainly dry Furmint, here are the ten producers which shone the brightest. Imported by Corney & Barrow, Barta was at the first table and proved a great introduction. For a producer making just 25,000 bottles of dry and sweet wine, Barta has long punched above its weight, and the two wines here showed why; theEgy Kiss 2017, from the village of Màd near Tokaji, has great expression, with quince and jam coming through on the palate; its big brother, the Oreg Kiraly Furmint 2015is 100% barrel fermented but allows the expression to come through, along with toasty fruit and great length. And although time prevented me from a serious assessment of the Aszu wines at this tasting, Barta’s 6 Puttonyos Aszu 2013was one of the ones to jump out, showing amazing richness and depth. In terms of price/value, Kardos’ stainless steel conditioned Dry Furmint 2017(Boutinot, £6.42 DPD) was the star of the tasting, offering amazing expression and depth for this price. The 100% barrel fermentedKaros Padihegy Furmint 2015was, as you might expect, quite different, and over twice the price, but a great example of this style. The renowned winemaker may be based in Eger but this hasn’t stopped him producing one of the most delicious expressions of Furmint, the Nagy Eged Furmint 2015. Fermented in steel tanks and barrels and aged on the lees for 10 months, this is a substantial wine, checking in at 13.6% alcohol. Imported by Bibendum, RT’s two dry Furmints, the Oddity 2016and the Vineyard Selection, both grown on volcanic soil, showed great minerality and acidity. The winery founded 30 years ago by Hugh Johnson and Istvan Szepsy and involving over 60 local growers continues to be a benchmark for the region. Imported by Enotria & Coe, this producer is renowned for using other varieties alongside Furmint in its sweet and Aszu wines. The Furmint Selection 2017, using 40% new oak, is a lovely and well-balanced wine, with a light oak touch supporting the fruit. Imported by Liberty, this producers’ Estate Furmint 2016stood out for its grip and acidity; quite Chablis in style and a great food wine. The 6 puttonyos Aszúwas pretty special, with lots of rounded honeyed fruit. Istvan Szepsyis one of the most respected winemakers in the region and his wines (imported into the UK by Top Selection) showed that quality is key to their fame. Both the wines were 100% barrel fermented but the real cracker here was the úrágya 2017, a wonderfully rich and nuanced single vineyard wine grown on stony soil. Memorable. This tiny producer run by Laszló Szilagyi and imported into the UK by the Wine Rascals specialises in tiny volumes of Furmint, each with a different take on its respective terroir. Four were available to taste of which the Bomboly 2017and the Medve 2017were the most distinctive. Quite fascinating. Based in Somlo, this winery is best known for its Juhfark and Olasz Riesling, but the three Furmint they were showing – the Estate, and two single vineyard wines Koppányand Árpád– were impressive and distinctive expressions of the variety. Quite why this producer isn’t imported into the UK is beyond me, although the presumably tiny volumes may be part of the reason. Making wines in the traditional style, the producer showed a range of fascinating older vintages including the Furmint 2012(three and half years in bottle), the 2010 (six years) and the Tiz Ev Utan úrágya Furmint 2006. Well worth further investigation. Although the most memorable affairs are the short intense ones, it is the lasting ones that prove the most rewarding. As more consumers take Furmint to their heart, expect it to take a serious place in restaurant and importer’s lists. This variety has a great future ahead of it.